Choosing a domain name for your website is the first and most fundamental step once you’ve decided to have your your own website. Here’s a basic guideline of the process involved. 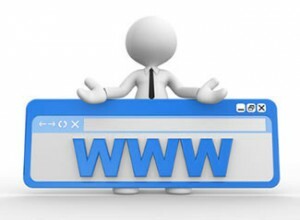 Is it important to have your company trading name in the domain name? Most companies believe so. Or do you want to specifically market one type of product or service with the website you have in mind? If so, then perhaps a keyword rich domain would be better. Once you have chosen the domain name for your main company website then you need to ask yourself whether you are likely to want to promote other products or services separately. This would involve having what we call secondary websites created for that purpose. Having made a list of the various domain names that you want to consider, go to one of the many Reseller websites and check what’s available (easy to do via a search box). People are sometimes disappointed at how diminished their choices are due to the lack of availability or alternatively they may be pleasantly surprised that more is available than they had imagined. Once you have chosen your name(s) then proceed to purchase – every approved/accredited Reseller of Domain Names has a secure online purchasing process for this and they give step by step instructions as you make your purchase. You will be asked to state the number of years you want to purchase the name for (obviously the more years, the higher the cost), so you will need to have decided whether your aims for your website are long or short term.